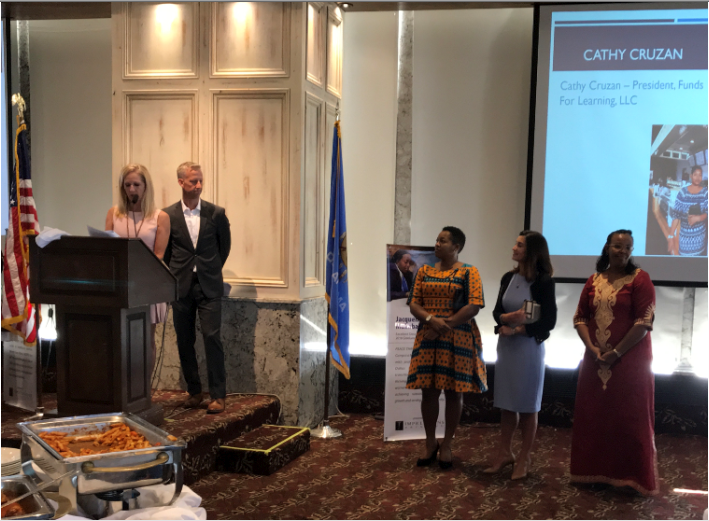 On Tuesday, July 24, 2018, Funds For Learning was honored and privileged to be part of the Sister Cities International OKC celebration dinner event, which highlighted mentors from the OKC area and their matched students from Afghanistan and Rwanda. 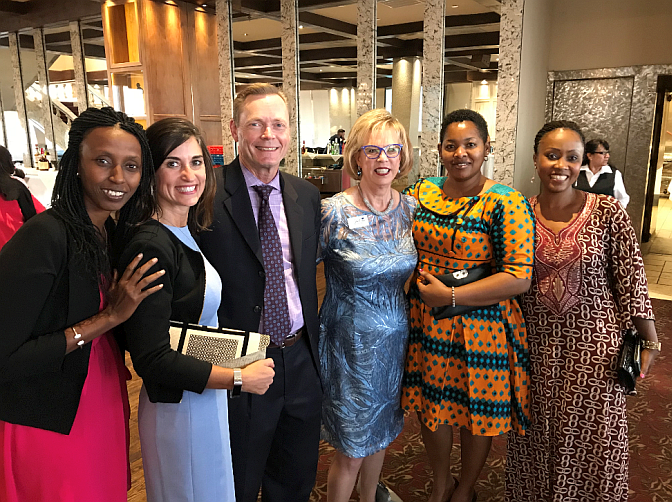 The Institute for Economic Empowerment of Women (IEEW) and Sister Cities OKC, Inc. (SCIOKC) teamed up to make this event a success. IEEW works to empower women all around the world economically, socially, and politically through its PEACE THROUGH BUSINESS® Program, a business training and mentorship program for women entrepreneurs in Afghanistan and Rwanda. SCIOKC is a non-profit citizen diplomacy network devoted to strengthening partnerships between OKC and active sister cities. Its efforts are aimed at increasing global cooperation at the municipal level and stimulating economic development. Funds For Learning President Cathy Cruzan volunteered to mentor Alice Umuhoza from Kigali, Rwanda, a woman entrepreneur in the IT industry. Her business, COMNET, offers IT services which include software development, consulting and more. Cathy worked regularly with Alice, helping her to craft her final business plan and setting up weekly video calls. Alice was selected to come to the United States and attend Leadership Development in July, which would give Cathy the chance to mentor her in person. However, a reality of this international program is that not all women selected for Leadership Development are able to obtain a visa. This was unfortunately the case with Alice. The relationship between Cathy and Alice does not end here, despite this bump in the road, as many mentors/mentees maintain a relationship for years beyond their initial connection – IEEW. 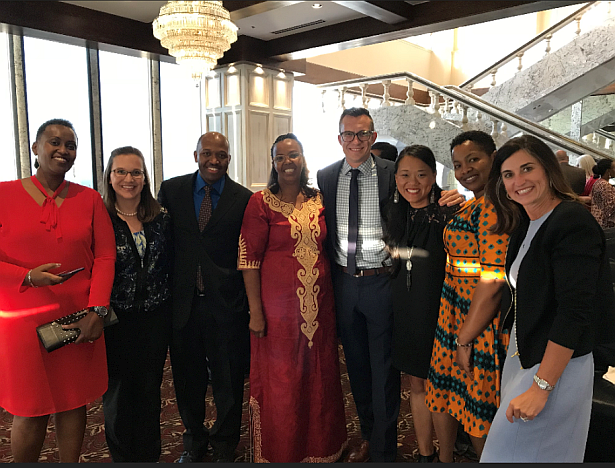 Today, Friday, July 27, 2018, the PEACE THROUGH BUSINESS® 2018 class graduates, led by Manizha Wafeq and Chantal Munanayire, in-country facilitators from Afghanistan and Rwanda respectively, will receive accreditation for completing Leadership Development and become members of the PEACE THROUGH BUSINESS® network. 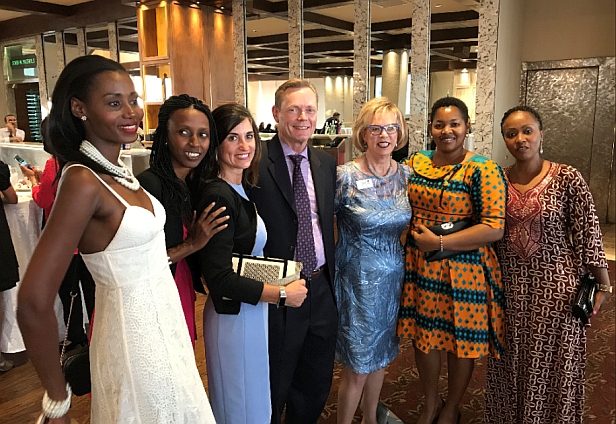 The graduates donate time as mentors to other women entrepreneurs and serve as guest speakers at women’s organizations and advocates on economic issues in their respective countries.